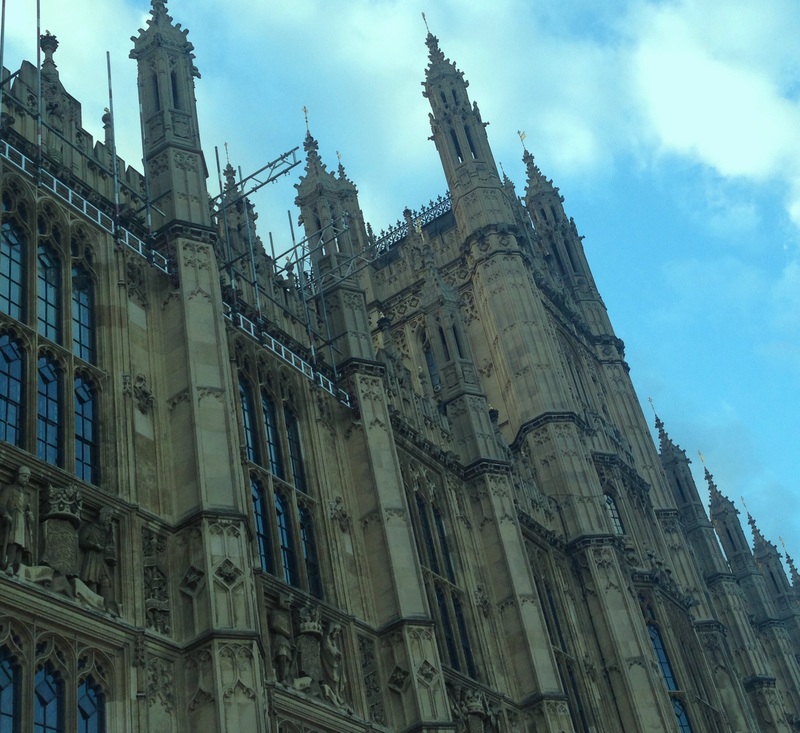 This month saw the AGM of the National Coalition-Building Institute (NCBI London), at the House of Lords. As a non-profit organisation founded in 1984 by Cherie Brown to tackle inter-ethnic violence on college campuses in Washington DC, NCBI now has over 50 city chapters across North America, Latin America and Europe. Each of these chapters was founded by volunteers to train local community leaders in effective bridge-building skills focused on tackling discrimination, prejudice and conflict in different cultural and urban contexts. Since its inception, the range of projects undertaken by NCBI International has been extensive. This includes (to name only a few), school violence prevention projects across Switzerland, work on racism and racial profiling with police forces in the US, community work following riots in the UK, anti-Islamophobia workshops, dialogue work with refugees and asylum seekers, inter-faith community projects and LGBT awareness days (for more information see NCBI International, NCBI UK and NCBI CH). These programs have won NCBI international acclaim for its work on prejudice, which includes the Nelson Mandela Award for ‘outstanding international work on fighting racism’, a Gabriel Award for excellence in youth programming and numerous British Diversity Awards for Best Diversity Practice. I started working with NCBI as part of two linked projects funded by the Royal Geographical Society and the British Academy/Leverhulme in 2013. My research asks how difference is negotiated in the everyday city. More specifically, it concerns the spaces, people and organisations that facilitate learning and dialogue across difference in such a way as to challenge and disrupt normative accounts of belonging, both on a day-to-day basis and in response to particular moments of crisis. Both of these projects concern international networks of community-led intervention programmes that broadly seek to address discrimination, prejudice and violence in its many guises. As such, over the past year, I have been attending key NCBI events, workshops and projects, which to this point have taken me to London, Bristol, Birmingham and Annapolis, MD to take part in training events and to speak with participants, facilitators, trustees and collaborators. Whilst the projects undertaken by NCBI are wide-ranging and are carried out across an international network, one thing that remains consistent across all of its chapters – and is at the core of its work – is a one-day identity and difference workshop that focuses on the circulation of prejudice. The workshop, which utilises incremental learning exercises, includes an in-depth examination of prejudice and stereotypes, a reflection on their roots and harmful effects, discussions on structural inequalities and an account of how community leaders might better interrupt, challenge and prevent prejudice and violence on a day-to-day basis. In the media, it is often the more spectacular, or extreme accounts of prejudice that make the headlines – the arson attacks on mosques, the ‘go-home’ billboards driven around London, or the shooting of Trayvon Martin in Florida. The Boston bombings in April of last year and the killing of Lee Rigby in London in May, were followed by a substantial spike in reported incidents of Islamophobia. At the same time, pressures on resources have seen a resurgence of xenophobia, anti-immigration campaigns, more punitive responses to asylum seekers and a considerable shift in attitudes towards welfare recipients. Behind these events, are stories of the ways in which xenophobia and racism continue to inflect the everyday lives of people in ways that often go unnoticed, unchallenged and unreported. 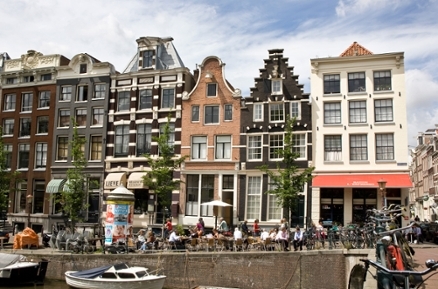 At a time of increased pressure on the capacity to live with difference in contemporary cities across both North America and Europe, the role of voluntary and non-profit organisations like NCBI should not be overlooked and a better understanding of their impacts, practices and mobility is critical to understanding the social challenges facing contemporary cities. For research interested in how community intervention programmes are learnt and mobilised, organisations such as NCBI pose a significant methodological challenge. On the one hand, my research is focused on the idea of replication. It asks how a leadership training model that was originally developed to address inter-ethnic conflict on college campuses in the US, has been successfully mobilised to address a wide spectrum of diversity-related issues in many different cultural contexts and settings worldwide – in communities, workplaces and institutions. At the same time, whilst interested in the mobility of this work, the research is also focused on the local programmes that city chapters undertake. This includes the motivations that sustain them and the forms of learning that they encourage, encompassing a vast research site, 50 cities and thousands of participants and projects. Despite harsh funding conditions and public cuts, NCBI London has experienced a notable revival of activities in the last year having worked with campaigners and local government for the last 14 years on a variety of community based projects. At the AGM, a new advisory committee and board of trustees was announced, along with its projects for the coming year. A new three year Young Ambassadors Program was launched, the first cohort of which was at the event to mark its beginning. Four community listening workshops were announced in Bristol, the first of which will take place next month and will provide a space for the exchange of stories and experiences of mental health in the community. This will be followed by a meet your neighbour event, to address the lack of communication across different community groups in Bristol, whilst a number of workshops in London will be working with women to explore what it means to be a woman today. These workshops will address pertinent questions about the persistence of sexism, a project that will see NCBI collaborate with the Peabody Trust – a London based housing provider and community generation programme that has a long history of community work in the capital. All of these individual projects will occur alongside NCBI’s regular community workshops on identity and difference adding to a varied portfolio of projects that highlights both the breadth of the charity’s focus and the variability of funding priority and availability. Whilst funding might be hard to come by, this month’s AGM was positive, although as Baroness Young of Hornsey, pointed out – there is substantial work to be done. Standing in the House of Lords we were reminded that London is a city of extreme inequality. Indeed, we only need to look at the demographic of Parliament to recognise the size of the challenge. This was a point that was not lost on the people gathered in the Cholmondeley Room – representatives from local institutions, councils, charities, the NHS, community centres, businesses, parliament and the City – and indeed was the very thing that brought them together. Beyond the AGM, NCBI London’s annual report and its outline of projects to come, offers up some important lines of inquiry for cities research. Perhaps the biggest is how we go about evaluating and attributing the impact of such work when so much of it is based on incremental forms of learning and stretches across multiple different sites and cities. More importantly however, is the question of how academic institutions might better support and collaborate with such organisations to secure funding, support local projects and exchange knowledge. By working with NCBI over the next couple of years these are just two of the questions that I hope to address. 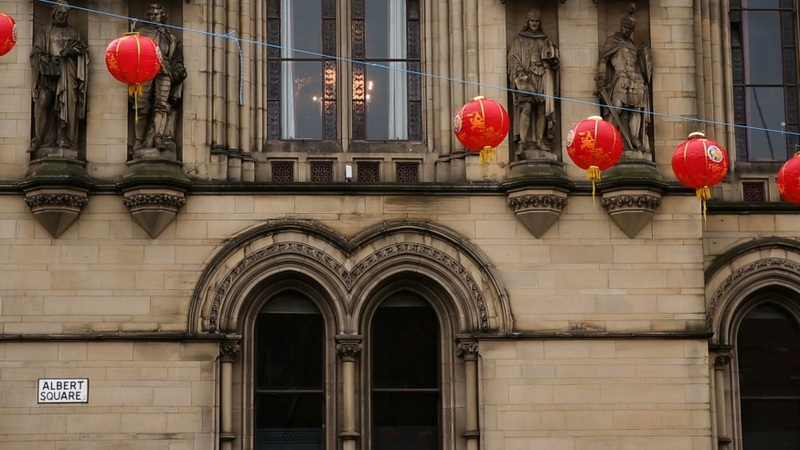 This entry was posted in Interventions and tagged Community, Culture on April 30, 2014 by citiesmcr. 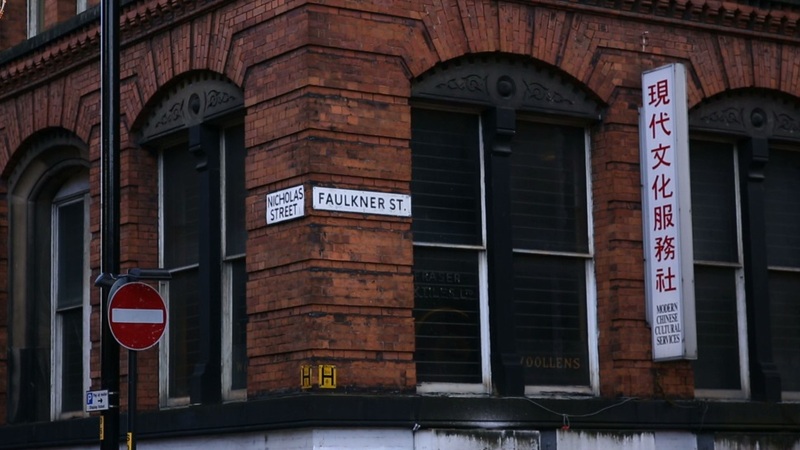 A couple of weeks ago we had a one day workshop (link to http://informalpoliticsinthecity.wordpress.com/) on ‘informal politics in the city’, funded by cities@manchester. The papers included circular migration and migrants’ identities in Southern Africa; step-migration through Western African countries; street peddling in Barcelona; and two papers on Buenos Aires. The aim was to bring together discussions about informality and migration. While there is a large literature on informality and internal migration, there is far less work on cross-border (international) migration and informality. Towards the end of the workshop one of the participants who works on migration and informality in Africa asked another, who works on informal housing in Buenos Aires, “what do you mean by ‘urbanising the informal settlement’”? I remember asking the same question when I first started researching migration and informal settlements in Buenos Aires. There is the issue of the extent to which concepts translate across different regions. The straightforward answer is that ‘urbanising’ in the Latin American context is usually referred to as ‘upgrading’ in Africa. It refers to the process of ‘opening up’ informal settlements through widening and paving of main roads. This makes the informal settlement look more like a ‘normal’ – read formal – neighbourhood (though in some countries informal parts of the city are built on square grids). Widening and paving of main roads means that services which are usually available in other parts of the city also become available in the informal settlement. For example, police can patrol the streets, ambulances can get to those who need it, bricks and building material can be brought by motorised vehicles instead of having to be pushed in wheelbarrows. However, the question points to an issue that is more complex than the translation of concepts across different regions. When I first came across the term ‘urbanising the villas’ – as the informal settlements in Buenos Aires are known – I was perplexed by the etymology of the term. To ‘urbanise’ means to make something more urban, usually referred to the process of urbanisation – the growth of the urban population or the turning of village or town into a city. However, in this particular case, the term ‘urbanise’ is being referred to informal neighbourhoods. How can you ‘make more urban’ something that is rapidly becoming the very image of urban life for the majority of the urban population across the globe? Is there any aspect of the ‘slum’, as informal settlements are despectively called, that is not ‘urban’? 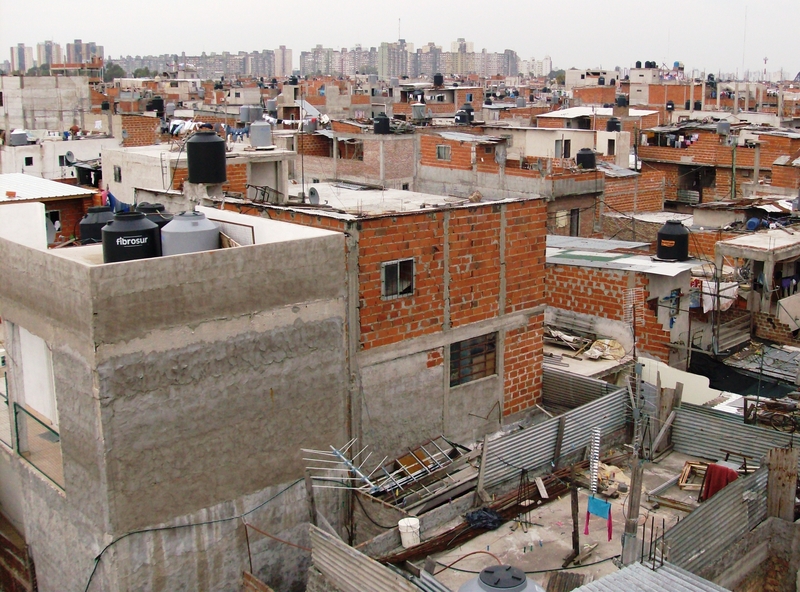 The use of the term ‘urbanise’ to refer to the villas, favelas or any other precarious part of the city implies that informal settlements are not really part of the city, a reference to the early process of urbanisation, when informal settlements were seen as vestiges of village life in the city and their inhabitants as ‘peasants in the city’ (see e.g. Bryan Roberts Cities of Peasants, published in 1978). Internal migration was indeed important for the growth of informal settlements. In Buenos Aires, villas emerged during the 1930s and the process of industrialisation, to house the large number of workers that were unable to find housing in other neighbourhoods. As in other Latin American countries, villas were built on public land and were an integral part of the growth of the city, with the main difference being that the state played a small role or no role at all in the provision of basic services, such as water, electricity or sewage. The auto-construction of the houses was often complemented by collective efforts to bring basic services to the informal settlements. The military regimes during the 1970s attempted to eradicate informal settlements from the city of Buenos Aires, as these were seen as key bastions of opposition. 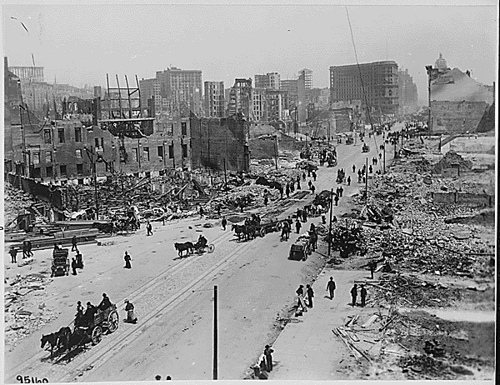 The city was associated with order, cleanliness and obedience and villas were seen as lacking in these characteristics. They were associated with dirt, chaos, subversiveness. The military regimes therefore aimed to move all informal settlements on the other side of the boundary of the city of Buenos Aires. Racist stereotyping preceded the forced evictions and over 200,000 are thought to have been forcefully evicted from the city of Buenos Aires (see Blaustein, Eduardo, Prohibido vivir aquí: la erradicación de las villas durante la dictadura, published in 2006). With the return of democracy in 1983 many of these residents returned to the places from which they had been evicted and they were increasingly joined by migrants from neighbouring countries, such as Paraguay and Bolivia, and during the 1990s, Peru. Some informal settlements today are associated with specific nationalities. For example, the villa 21-24 is predominantly Paraguayan and the parish church bears the name of a Paraguayan Virgin, the Virgin of Caacupé. However, while there might be a cultural association with Paraguayan ancestry, and while anecdotal accounts give estimates of ‘90% of those in 21-24 are from Paraguay’, a recent census conducted by the Instituto de la Vivienda de la Ciudad, (IVC – City Housing Institute) indicates that in fact only just over a third of its residents were born in Paraguay (34.7%), while 48% are Argentinean (they might have Paraguayan parents but given that they were born in Argentina, they are Argentinean). This is significant, given the fact that many public authorities attempt to ‘export’ the issue of informality by attributing it to a problem generated by the migration from neighbouring countries. Migrants from neighbouring countries and Peru have suffered decades of discrimination. Xenophobic attitudes in public discourse intensified during the 1990s, during the Menem government, when migrants from neighbouring countries, particularly Bolivia, were accused of stealing jobs from Argentineans, and therefore increasing unemployment, increasing crime rates and insecurity, and blamed for health scares, such as a cholera outbreak. These xenophobic attitudes were also present in everyday actions, such as a brutal murder of Marcelina Meneses, a young Bolivian woman, who was pushed off a train in Buenos Aires in January 2001 while carrying her ten month old son, who also died in the accident. The event, painfully illustrates the everyday acceptance of xenophobic and racist attitudes towards migrants from neighbouring countries. It is clear, however, that much has changed in Argentina, which today boasts one of the most progressive migration legislations in the world, the law 25,871, which was approved in 2003 after years of lobbying by civil society organisations, and implemented the year after. However, migration as a subject, as in many other parts of the world, continues to be studied from the point of view of the nation, that is, it suffers from methodological nationalism. Beyond public figures that attribute the growth of informal settlements to a problem of neighbouring countries, there is very little research that takes a deeper look at the association between informality and migration (some notable exceptions include work by Alejandro Grimson, Lucia Groisman and Carla Gallinati). In a pilot research project we are currently exploring the relationship between informality and migration, specifically through the everyday politics of informal settlements. We are particularly interested in understanding how migrants organise as ‘neighbours’ (vecinos), often in conjunction with non-migrants, around issues that affect them. These sometimes relate to their condition as migrants, but most of the time, they organise on the basis of their experience as residents of informal settlements. Organisational strategies and aims vary greatly. However, we find that the scale at which we address migrants’ everyday politics matter. When we look at the city as a whole, migrants tend to organise around their particular country of origin, and on the basis of their national identity. We find many organisations that (claim to) represent Bolivians, Paraguayans or Peruvians. However, when we shift the focus to the informal settlement, there are many more cross-national organisations, those made up of migrants from different countries, as well as migrants and Argentineans. While it is not surprising that the everyday politics in informal settlements aim to address the most immediate needs – adequate access to electricity, connection to sewage system, better security and access to health services – what is surprising is the absence of claims in relation to their condition as migrants. Does this mean that migration is irrelevant at the more micro level of analysis, at the level of informal settlement? Some interviewees vividly remember the nights following the 2001 economic collapse when they had to gather around fires to fend off attacks from other groups of migrants. However, most grass-roots organisations are able to transcend differences on the basis of nationality and unite their activists around issues that affect them all. This is encouraging, particularly if taken together with the progress at the national level on migration legislation, as it could point to a top down and almost simultaneous bottom up recognition of difference but a willingness to work across these differences, to form what Amin terms a ‘society of strangers’ (see Ash Amin, Land of Strangers, published 2012). There remains, however, the level of the city, where public authorities as well as those claiming to represent different groups of migrants, reproduce and often strengthen divisions among groups of strangers. In the same way that informal settlements are an integral part of the city and, many would argue, are here to stay as long as the current system remains in place, so too is migration. To wish to ‘urbanise’ informal settlements, lends little recognition to the structural elements that have generated existing inequalities, the same inequalities that encourage people to move from one country to another, despite having to live in an informal settlement. What is clearly missing is the recognition of the fact that informal settlements are already urban, they are an integral part of the city life, and its residents are already proposing creative solutions to their problems. Listening and paying attention to these proposals is a vital ingredient of constructing a more just, and less unequal, city in the future. 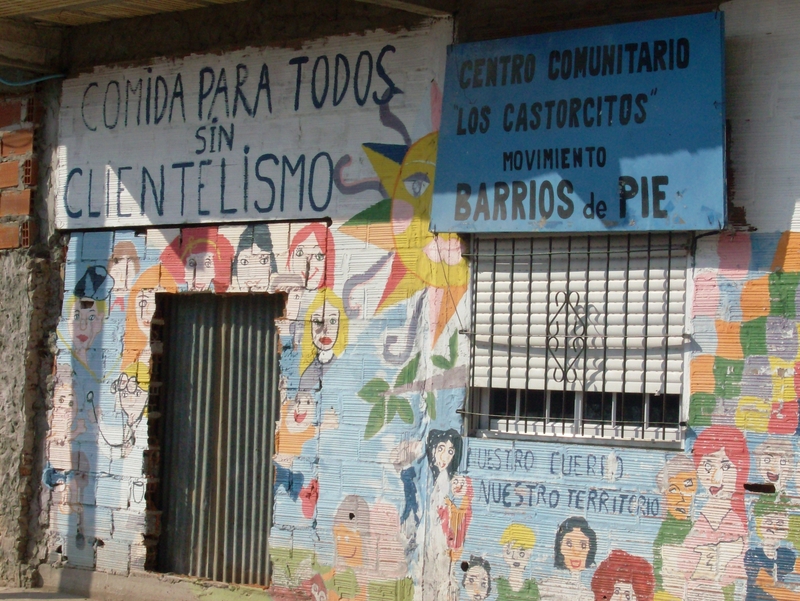 The project to which this blog refers to “Seeking justice: migration, informality and political participation in Buenos Aires” is being carried out by Tanja Bastia and Jerónimo Montero Bressán, in collaboration with Diana Mitlin and Melanie Lombard (Global Urban Research Centre, University of Manchester). We gratefully acknowledge the funding from cities@manchester. This entry was posted in Interventions and tagged Culture, Development, Informality, Migration, Politics on July 10, 2013 by citiesmcr. 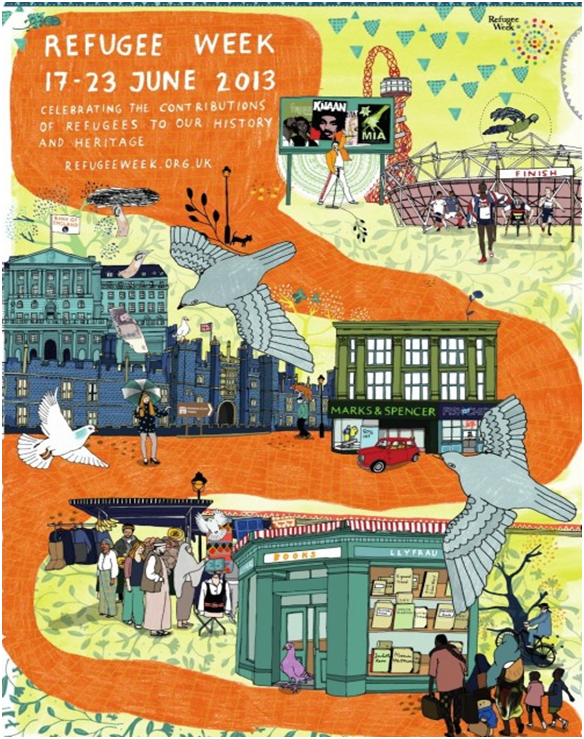 Today sees the start of Refugee Week 2013, an annual celebration of the contribution of refugees to the UK that seeks to promote better understanding of why people seek sanctuary. Refugee Week has been held annually since 1998 as a response to negative perceptions of refugees and asylum seekers and hostile media coverage of asylum in particular (Refugee Week 2013). 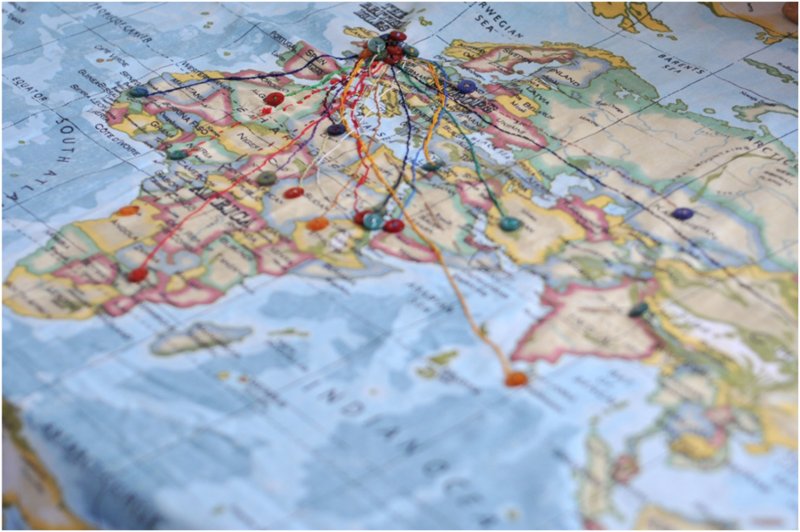 Refugee Week promotes a series of events across the UK, from football tournaments and theatre productions to exhibitions and film screenings, all designed to promote understanding between different communities. Whilst Refugee Week is a national event it finds expression in local activities organised in a range of cities. In part, this is in response to the dispersal of asylum seekers across the UK, meaning that refugees and asylum seekers have been increasing visible in a range of towns and cities over the last decade. Asylum decision-making and policy take place at a national level, but the implications of such policy and the demands of integration and service provision are experienced at the level of urban authorities and communities. But what is the relationship between asylum seekers and cities, and how might we understand this relationship through the lens of Refugee Week? In this commentary, I want to suggest that by focusing on cities we might destabilise some of the problematic assumptions of national discussions of asylum and refugee politics, through drawing on the resources of cities as sites of social and political creativity, contestation and collaboration. Doing so shifts our view of asylum and refugees from a state-centred account of national hospitality, to a more complex account of the lived realities of urban refuge. National celebrations such as Refugee Week are in many ways positive interventions into public discussions over asylum. They have played a central role in challenging stereotypes, contesting myths over benefit claims and bringing to the fore the heritage of sanctuary that has shaped contemporary Britain. Refugee Week has also offered a platform for politically contentious campaigns for rights to work, access to education and anti-deportation campaigns, all of which have benefited from the shifts in public opinion and political will that Refugee Week has produced. However, as many of those working with refugees and asylum seekers in the UK note, Refugee Week alone is not enough. Rather, there are risks attached to ‘celebrating the contributions of refugees to our history and heritage’. These words, the slogan for Refugee Week 2013, suggest three of the central challenges of refugee politics in contemporary Britain. Firstly, the emphasis placed on ‘our’ history establishes a fixed group defined by distinction from refugees, a ‘we’ whose history refugees may contribute to but always a ‘we’ at a distance from refugees themselves. Secondly, a concern with ‘history and heritage’ positions the contributions of refugees in the past. Refugee issues thus become concerns to look back on through visions of a hospitable past, without necessarily providing a means to address issues of contemporary asylum. Most strikingly though, Refugee Week foregrounds a logic of contribution in celebrating refugees. While a claim about contributions can appear to be a strong argument in the face of those who assert that refugees and asylum seekers ‘abuse’ welfare entitlements, it risks reinforcing perceptions of worth and worthiness that make refugee status into an economic commodity. Whilst we should recognise the skills, knowledge and dynamism that those seeking sanctuary bring, a logic of contribution places asylum into an economic frame of reference similar to the points-based system that determines immigration status. Taken together, these three concerns suggest that Refugee Week might be taken as a governmental tool for the production of benevolent responses to those deemed to have ‘contributed’ enough to be worthy of refugee status and humanitarian compassion. Akin to forms of celebratory cosmopolitanism that market cities as sites of diversity, whilst tightly regulating the limits of tolerance, the rhetoric of ‘contribution’ recalls a conditional hospitality that may be open to a select few. Often such hospitality is open only to those past groups who have contributed to ‘our’ history, rather than reflecting an ongoing process in which this history is continuing to be made. A concern with contribution thus makes asylum and refugee discussions part of government efforts to ‘manage migration’ for the ‘good of the nation’, rather than in the interests of those seeking sanctuary and fleeing persecution. How then might we envisage a different view of refugees and asylum seekers, one detached from a concern with their potential contributions to the nation and with representing a benevolent history? It is here that cities come to the fore. If we take seriously Magnusson’s (2012) demand to ‘see like a city’ rather than ‘seeing like a state’, we might find a different view of asylum seekers and refugees, one less concerned with contributions to an already existing entity and its history, be that the nation or the city, and rather more concerned with the collaborations and collective engagements that shape urbanism as a way of life. For Magnusson, cities are complex constellations of ideas, relations, encounters and institutions, never exhausted by their present form and never subject to a single mode of authority. Rather than a common ‘history and heritage’ to which refugees may contribute, seeing like a city implies multiple histories vying for attention, histories which are being made and remade as the city is itself becoming something new through the actions of those who inhabit it and the material relations that form it. What we might take from this view of the city as a site of incomplete political authority and multiple histories, is a vision of how cities are formed through collaborations, through the coming together of diverse interests and opinions to make urban space. The significance of this work is not simply that it offers a creative means of exploring and expressing the social relations of refugees and asylum seekers. 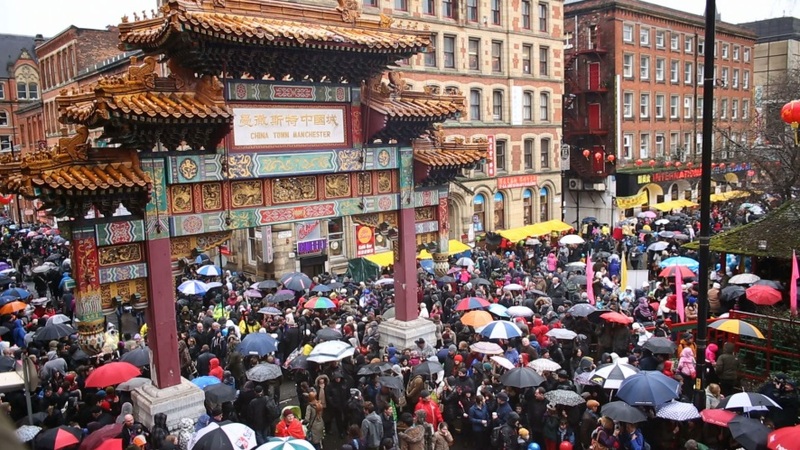 It does this and draws in part on the diversity of people, histories and stories that are brought together in the city. But it is also a project of collaboration. This is not a case of narratives being extracted and displayed by experts or analysts, but a process in which stories are made through working with others, in making banners, sewing journeys onto maps and discussing photographs. The product of such interactions are snapshots of a creative process, owned by all those who played a role in such a process. It is this sense of being part of a creative endeavour and employing this as a means to communicate stories of asylum, that is so valuable as it works to negotiate two sets of barriers. Firstly, those between asylum seekers and other residents of Manchester and Salford – through communicating common concerns, shared spaces and the realities of the asylum process. Secondly, those often unspoken barriers between asylum seekers and those who seek to offer support to them – through a creative engagement that is productive rather than dependent, collaborative rather than charitable. Projects such as this gesture towards the potential that creative approaches have in both communicating multiple understandings of the city and in destabilising assumed notions of how asylum seekers should engage with cities. More than this however, projects such as this reflect an appreciation of urbanism as a way of life tied to the multiplicity of the city. The banners and maps created in this process are not contributions made by asylum seekers and refugees; rather they reflect collaborations that express the coming together of different journeys, narratives and experiences. They are not individual expressions or timeless versions of events to be placed into an archive of ‘our history and heritage’, but are the products of encounters, relationships and shared collaborations that communicate understandings of the here and now. In this process, the banners and maps of this project become collaborations in shaping, rather than contributions towards, a ‘shared future’. Seeing like a city is to view the politics of asylum in a similar vein, to think of the city as a compositional arrangement of multiple stories and journeys, all in the process of being made, diverted and retraced. As a compositional arrangement, the city is made through such journeys, and whilst such a reading implies a ‘history and heritage’ that is reworked through the presence of diverse stories, this is never a static or fixed narrative, nor is it ever ‘our’ history, the property of any singular group. Rather, the city becomes a banner in the making – a collaboration of those present, always being made yet never finally displayed. A further resonance for this mode of thought might be found in the ways in which a number of UK cities have made tentative steps to challenge the state over asylum. We might trace a number of examples. Firstly, the manner in which urban authorities can act to support and publicise anti-deportation campaigns for local inhabitants threatened with deportation, such as recent cases in Leicester and Glasgow. Such situations position the authority of the city against the will of the state and seek to oppose deportation on the basis that individuals and families are part of the city, actively engaged in the fabric of local communities. Secondly, city councils in Bristol, Glasgow, Oxford and Sheffield have all recently passed motions that express concern over the destitution of asylum seekers and have begun lobbying national government to allow local authorities to assist destitute and refused asylum seekers. Again such voices stand at a critical distance from the decisions of the Home Office and challenge national policy from the perspective of those living with the consequences of such policies. In Manchester a ‘day of action’ is proposed at the end of June to highlight the situation of destitute asylum seekers in the city and to call upon the city council to both oppose the government’s stance on destitution and to intervene by offering support to destitute asylum seekers. Doing so would challenge a concern with refugees that extended only to those able to ‘contribute’ to the city or the nation, and would instead mark a concern with the needs of all those present in the city, regardless of status, contribution or ‘worthiness’. These gestures, whilst limited and fractured at present, highlight the importance of viewing asylum from a different lens to that of a state-centred concern with contribution and historical hospitality. The potential of the city, as Derrida (2001) argues, is to take a critical stance relative to the forms of conditional hospitality and welcome offered by the state – to demand more on behalf of all of those who inhabit the city. Seeing like a city implies an awareness of the complex and unfinished nature of urban life, of how cities evolve, change and adapt as newcomers arrive and others leave. This framing of the city is therefore centred on valuing those who inhabit the city, those who make urban space at any given moment and through it perform a claim to a ‘right to the city’ that arises precisely from taking part in the negotiations, tensions and contradictions of urban life (Darling and Squire 2012; Lefebvre 1996). Whilst such a lens is unlikely to ever fully usurp a state-centred account of asylum, its importance may be in proposing a critical alternative, an urban critique of asylum and refugee policy centred on the possibilities that collaboration may bring. Refugee Week brings with it opportunities, opportunities for dialogue and discussion around asylum seekers and refugees, around current policies and around the histories of sanctuary that have helped to shape many British cities. But such discussions should not be limited to a concern with the contributions that refugees have made or may make to the nation or to the city. This simply expresses a paucity of imagination and a failure to recognise the realities of asylum in contemporary Britain. Refugee Week should be about offering space for the expression of collaborative projects, collaborative politics and collaborative realities. It is in collaboration that contemporary cities are made and remade, as much through the investments, experiences and journeys of those seeking asylum as through any other inhabitants. Taking seriously such collaborations implies a politics of critique towards narratives of refugee contribution, fixed histories of national hospitality and policies that produce the destitution of many asylum seekers. Such a politics starts with the critical potential of seeing like a city. [ii] The banners produced through the project will be on display throughout Refugee Week (17-21 June) at the Peoples History Museum, Manchester and the Lowry Gallery, Salford, alongside forming part of the Shared Future Refugee Celebration on 22nd June at Cross Street Chapel, Manchester. This day of celebrations is organised by The British Red Cross to encourage understanding between and within communities and forms one strand of their work to support vulnerable refugees and asylum seekers in the UK. This entry was posted in Interventions and tagged Asylum, Community, Culture, Ethnicity, Migration, Policy on June 17, 2013 by citiesmcr.